Please join the KALAGNY Real Estate Committee on Thursday September 22, 2016 from 6:30 - 8:30 PM at Newman Ferrara LLP, located at 1250 Broadway, 27th Floor, New York, NY 10001. We will learn about the various aspects of Environmental Due Diligence from James P. Cinelli, an Environmental Engineer and Principal with Liberty Environmental, Inc., a full-service consulting firm he co-founded in 2004. This program describes the evolution of environmental due diligence over the years, provides an overview of the ASTM Phase I Environmental Site Assessment standard practice, and provides examples of environmental conditions commonly found at commercial properties. Additionally, the program will provide a summary of the New York City E-Designation Program and the impact it has on property transactions and the site development process. It will also briefly describe other City environmental programs that promote redevelopment, including the Brownfield Incentive Grants, Green Property Certification, Voluntary Cleanup Program, and Clean Soil Bank. Mr. Cinelli is a licensed Professional Engineer in five states, and is a Board Certified Environmental Engineer. He holds a Bachelor of Science degree in Civil Engineering from Lehigh University, a Master of Engineering degree in Environmental Engineering from Penn State University, and a Master of Business Administration degree from St. Joseph’s University. Kindly RSVP to kjordan@nfllp.com to reserve your seat! Yes, some New York State's judges are elected. See how the Democratic party picks judicial candidates to run on its ballot! The Manhattan Democratic Judicial Convention will be held at Harlem Hospital (Herbert G. Cave Auditorium) - 506 Malcolm X Blvd., 5:30 PM on Thursday, September 22, 2016. Please sign up here to express your interest in attending, and we'll be in touch with you. From time to time, all of us can experience a career slump. However, it can be a meaningful experience. It allows us to identify the gaps in our work and career. Together, we will explore your interests, motivated skills, personality style, needs and values to allow you to achieve greater career satisfaction. At the end of the presentation/discussion, you will feel inspired and energized to take action to achieve your future goals. On Wednesday, September 28 at 8:00 AM at Menaker & Herrmann LLP, 10 East 40th Street, 25th Floor (between 5th and Madison). Cost: Free for KALAGNY members. $20 for non-members. Please pay by cash at the event. RSVP by Monday, September 26 at this link. See more details on the event flyer. Questions: Email Karen Kim, Chair of the Women’s Committee at kalagny@gmail.com. Come march with KALAGNY at the Korean Day Parade on Saturday, October 1, 2015, starting at 11 a.m., and join the celebration of the robust Korean culture and people! Come for the Parade, then have lunch on us. RSVP required. Rain or shine! Our monthly pro bono clinics are held in Manhattan and Flushing on the First Tuesday of every month, 7-9pm. Please spread the word to your family, friends and neighbors in need of legal counsel. The KCS office is located a couple blocks away from the LIRR's Broadway stop. KALAGNY has numerous programs and activities. There is something for everyone. Check out what we have been up to. Join today. All Job Postings - Check Out New Postings! Click here to view our latest job postings. Note: you must be a dues-paying KALAGNY member to access the member's only-section of our website which includes our job postings. If you are interested in a career with the City of New York, click here. Nassau County District Attorney’s Office is currently looking for an Assistant District Attorney. To proceed to a Stage One interview, applicants will need to submit the following: Cover Letter, Resume, Statement of Interest, Transcript, Applicant Packet, Writing Sample and Certificate of Good Standing. You can read more about terms and conditions of employment, as well as find an applicant questionnaire and information sheet, on this link. Resumes need to be sent no later than November 30, 2016. Please also e-mail kalagny@gmail.com if you are interested in applying. The Law Offices of Veronica S. Jung, PLLC is seeking a part-time litigation associate for its New York City office. Interested applicants can review the description here. Michael Lee is also looking for a junior real estate associate. Please e-mail a resume and cover letter to mllawfirm@gmail.com if you are interested in applying. The Law Office of Gary S. Park, P.C. is seeking an associate attorney or legal assistant for its Englewood Cliffs, New Jersey office. Please e-mail kriskim@garyparklaw.com for more information. 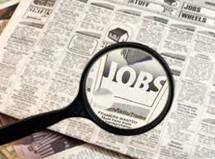 Check Out These Open Law Clerk Positions with a Newly Appointed Magistrate Judge! Click here to view Prudential's job postings. **To see other jobs, click here. KALAGNY member Joseph Juhn has started a documentary project concerning Korean diaspora and the Korean identity entitled The Korean Che. 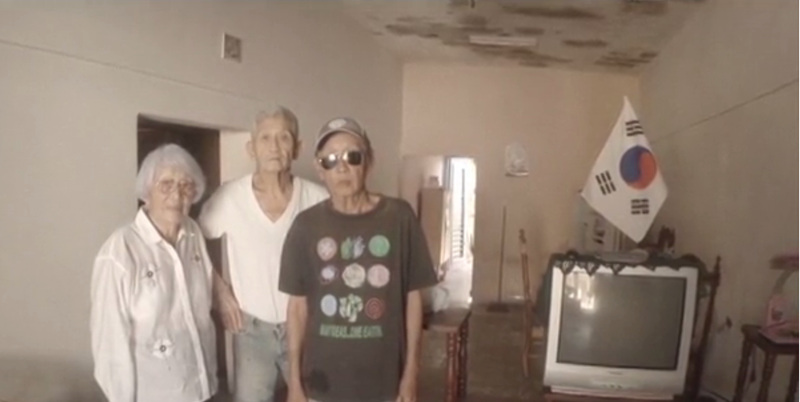 The project will be focused on a family who helped the efforts of Korea's independence and the Cuban revolution. To view the trailer and to learn more about Joseph's crowd funding campaign, click here. In a recent article, the New York Times featured Justice Danny K. Chun, who is a former KALAGNY honoree, and a beloved member and supporter of KALAGNY. This Spring, the judge presided over mock oral arguments made by KALAGNY members during a litigation committee workshop. In the article, which pertained to the sentencing of Officer Peter Liang, the New York Times reported that Justice Danny K. Chun was considered to be a thoughtful, diligent, and evenhanded member of the bench. His Honor is quoted by Chad Sjoquist, as having said during a Fordham Law Career Day, that "[i]f you want to sit at a desk all day and make lots of money, go work at a firm. But if you want to do something interesting and something that matters, become a D.A." 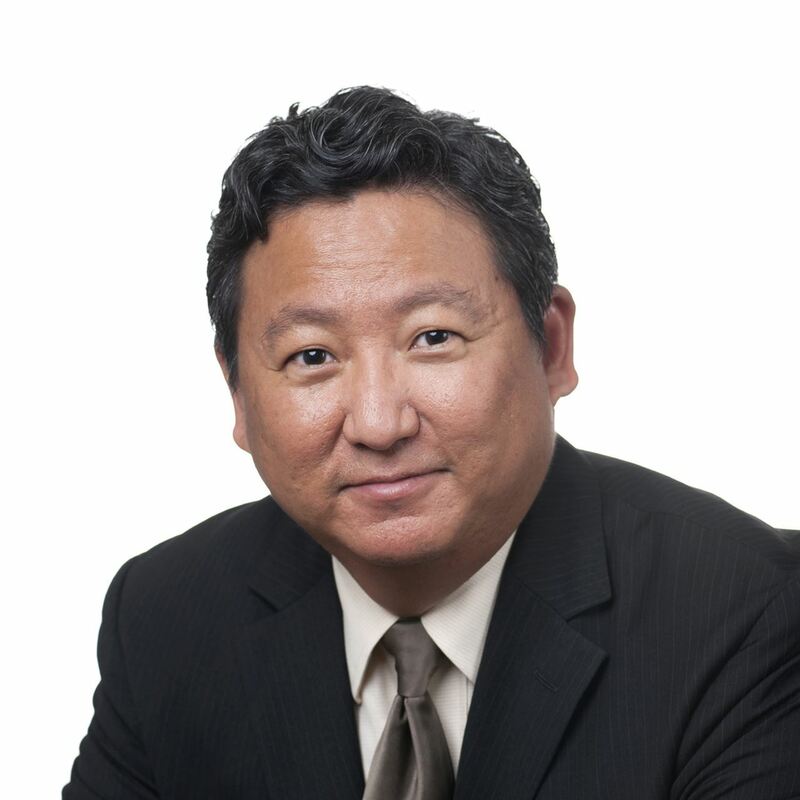 Chad Sjoquist is a KALAGNY board member, a former prosecutor, and a friend of Justice Danny K. Chun. Read the article here. Justice Danny K. Chun was honored by the Kings County Criminal Bar Association on April 16, 2016, at its annual Dinner Dance event. If you have news to share, please email: kalagny@gmail.com. KALAGNY's board member Thomas Kim was recently featured in a Corporate Counsel profile, wherein he describes the synergies of wearing two hats at Thomson Reuters. Thomas is based in New York City and is both chief compliance officer for Thomson Reuters and general counsel of its Global Growth Organization. As set forth in the article, "[a]s chief compliance officer, Kim oversees compliance across the global enterprise, with 21 subject-matter expert lawyers and compliance professionals in Thomson Reuters' major business centers. As GC for emerging markets, Kim leads a function supporting all businesses across Latin America, Africa, the Middle East, Eastern Europe and Asia, with a legal team of 32 legal generalists in 10 regions." Thomas states: "By wearing both hats, I can better understand how we drive growth in our emerging markets businesses and the potential risks of those activities. This is a huge help to ensuring that our compliance and risk management controls are effective, so that we can achieve sustainable business growth. With the dual role I'm better positioned to coordinate resources across the organization to achieve these aims. Also, as a member of the leadership team for emerging markets, I can help embed compliance in the organizational culture across these regions." Great article Thomas! Please click here to reach the article. This month, Don will begin his new role as Executive Vice President, Chief Legal Officer and General Counsel of Target Corporation, a Fortune 50 company. See more here. Previously, Don was the General Counsel, Secretary and Corporate Senior Vice President of Xerox Corporation, where he was responsible for all of Xerox's legal and government affairs. Other previous positions have included roles at Toll Brothers, IKON Office Solutions, and Aetna Healthcare. Before going in-house, Don worked at Simpson Thacher & Bartlett and at Richards & O’Neil. Don is a champion of diversity, and served as the Keynote speaker at KALAGNY's annual gala in 2011. Other of his professional accomplishments and affiliations include his service on a variety of boards, such as serving as the former chairman of the board of directors of the Minority Corporate Counsel Association (MCCA). The Don H. Liu Scholars Program, Inc. seeks to cultivate and inspire future Asian American leaders within the legal profession through the use of scholarships to law students, and is named after Don. He received a B.A. from Haverford College, and a J.D. from Columbia University School of Law. 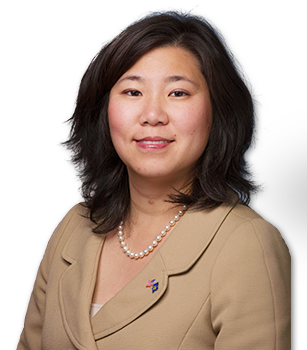 New York Representative Grace Meng represents New York's 6th Congressional district in the New York City borough of Queens. Last week, she was elected to serve as a Vice Chair of the Democratic National Committee. This district includes the Bayside, Flushing, Forest Hills, Rego Park, Fresh Meadows, Glendale, Kew Gardens and Maspeth neighborhoods. Previously, she served in the New York State Assembly. Born and raised in Queens, Congresswoman Meng graduated from Stuyvesant High School, and received a B.A. from the University of Michigan, and a J.D. from the Benjamin N. Cardozo School of Law at Yeshiva University. Congresswoman Meng is the first Asian American from New York State to serve in Congress. She has sponsored a number of successful bills. Earlier this year, she sponsored a bill which removed the term "Oriental" from all federal law. The bill was passed unanimously by Congress and signed into law this past Spring. Early last month, Austin joined StoneMor Partners L.P., a publicly traded company listed on the New York Stock Exchange, as its General Counsel, Chief Legal Officer and Secretary. He also serves as the company's Chief Compliance Officer. Previously, Austin was Division General Counsel and Corporate Secretary of Heraeus Incorporated, part of the Heraeus Group, a Fortune Global 500 manufacturing conglomerate, leading a team of lawyers in Germany, China and the U.S. Before going in-house, Austin practiced both litigation and corporate transactional law at top New York law firms, including Cravath, Linklaters and Akin Gump. He has also had his own law practice. Austin was recently voted a Rising Star by the MCCA and was a Trailblazer Honoree at KALAGNY's annual gala. Austin received his A.B. from Harvard and his J.D. from Penn Law. On August 6, 2015, we witnessed the passing of a landmark 50 years since the Voting Rights Act was signed into law by President Lyndon B. Johnson. Let's continue making strides, achieve equality and voice our concerns. Adam is an adoptee from Korea, who is facing deportation, and his story is, unfortunately, not unique. We are in contact with our sister bar, The Korean American Bar Association of Washington, which is diligently working with Adam's attorney, Lori Walls, Esq., from the Washington Immigration Defense Group and a group of grassroots adoptee activists and allies to advocate on his behalf. As we learn more about Adam and his situation, and of others similarly situated, we will continue to update you at KALAGNY's newly formed Advocacy Alert Page. To see a recent New York Times article about Adam, click here. To sign petitions in support of Adam (#KeepAdamHome), click here and here. To call your legislators to amend the Child Citizenship Act of 2000 to support all non-citizen adoptees like Adam to be granted U.S. Citizenship, click here. In the meantime, we ask you to learn about Adam and others like him. If you wish to join KALAGNY's effort, please email us at kalagny@gmail.com. The New York State Unified Court System launched the “Amici” podcast. A series created to share with the legal community and the public at large information about the courts, the legal profession and the criminal justice system. Podcasts currently available include an interview with William Leahy, Director of the New York State Office of Indigent Legal Services, and a conversation regarding the Uniform Bar Exam with Diane Bosse, Chair of the New York State Board of Law Examiners. Both the audio and written transcript of each podcast are available. The New York City Bar seeks recommendations for potential speakers and faculty members for its annual programming (e.g. Committee programs, CLE, etc.) We encourage you to share this form with your colleagues who may be interested in speaking at future events. Once you have completed the form, please submit a CV/bio to diversity@nycbar.org with the subject "Call for Speakers." Questions can be directed to Clare Plunkett at cplunkett@nycbar.org. Please click here to see a letter from Chief Administrative Judge A. Gail Prudenti seeking experienced commercial litigators who are no longer practicing to serve as Voluntary Special Masters for this new program. Best Lawyers, is currently accepting nominations for the 24th Edition of The Best Lawyers in America. The nomination period ends December 1, 2016. Click here to learn more. KALAGNY members qualify to join the New York City Bar at a discount, if you will be first time member of the New York City Bar Association. Please go to our membership portal by logging in as a member to access the code and to learn more. The Asian American Bar Association of New York (AABANY) will hold its Fall Conference on September 24, 2016. Please join AABANY at its 2016 Fall Conference, “Speak Up, Rise Up, Lift Up,” hosted by Skadden, Arps, Slate, Meagher & Flom LLP, on September 24, 2016! Although registration has closed, learn more by clicking here. AABANY offers a full day of diverse programming for law firm attorneys and solo practitioners, in-house counsel, government and public interest attorneys, and law students. Don’t miss out on the following: a Full day of CLE and non-CLE programs– including Judiciary, In-House Counsel, and Law Student tracks, Diversity Career Fair & Expo, Pitch sessions, Group mentoring sessions, Cocktail Reception, Committee Dinners, ... Don’t miss this day of productivity, community, and fun. If you have any questions, please feel free to email fall.conference@aabany.org. The IAKL 2016 annual conference will be held in Washington, D.C. on September 29 - October 2, 2016 at the J.W. Marriott, Washington, D.C. Registration is now open at IAKL's 2016 Conference website. For more than 30 years, the MinKwon Center has empowered the low-income, new arrived members of the community to find long-term solutions to critical issues that impact their daily lives. MinKwon bases much of its community organizing efforts in Flushing Queens—home of one of the largest Korean-American and Asian-American populations in New York City. For more information about its upcoming gala, please click here. 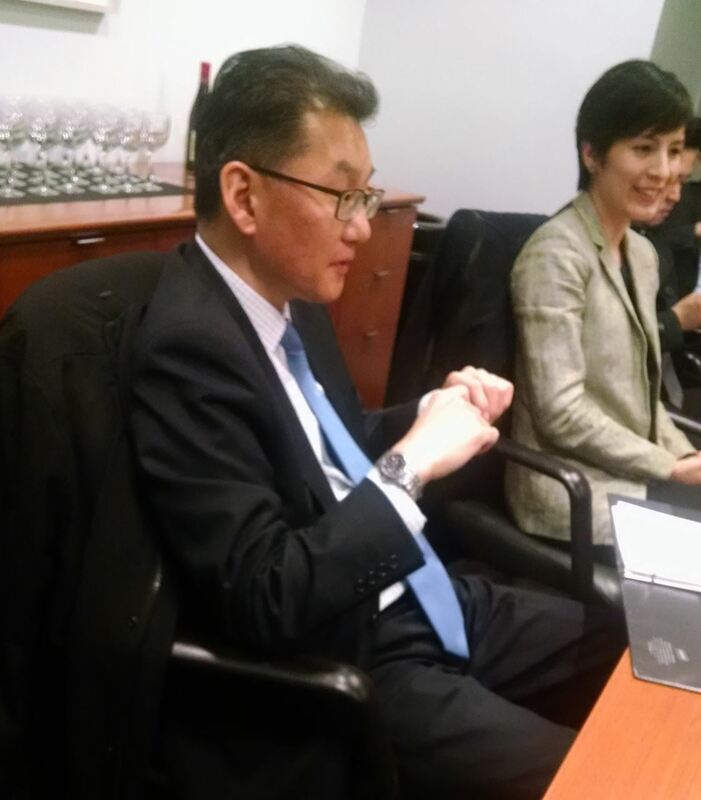 KACE's annual gala brings together active leaders and supporters of the Korean American community's civic engagement. The KACE Annual Gala is a celebration of the individuals and organizations that support KACE's commitment to empowering our community through civic education, grassroots organization, and leadership. The Gala will be at Terrace on the Park on Thursday, October 13th, 2016. Click here to learn more. The KACF Annual Gala celebrates the accomplishments of extraordinary individuals and organizations in our community. Funds raised will support the work of KACF and our non-profit grantee partners in the Korean and Asian American communities, as well as initiatives for building bridges with our vibrant communities in New York City. To learn more, click here. The Board of Elections (BOE) is recruiting Chinese and Korean interpreters for Election Days on September 13 and November 8. The Board will also provide outreach supplies and more information. Let's make sure that there are enough Korean interpreters in Queens, and enough Chinese interpreters in Manhattan, Queens, and Brooklyn! Click here to learn more. Public interest attorneys take note! The Charles & Melita Jung Foundation has awarded scholarships to attorneys working in public interest to attend NAPABA Conventions since 2013, and will continue to do so for this year's Convention in San Diego, CA. The application deadline is October 7, 2016 (but scholarships will be considered on a rolling basis starting August 19, 2016). Please join us in congratulating Jhanice V. Domingo (APALA-NJ's President, and KALAGNY's Member) as she is installed as NFALA's President! Congratulations, Jhanice! The Second Annual Installation Dinner will be held on November 3, 2016 at the Renaissance San Diego Hotel. To learn more, click here. KALAGNY and the Asian American Legal Defense and Education Fund ("AALDEF"), a national organization that protects and promotes the civil rights of Asian Americans, and other sponsors, will take part in an exit poll for the 2016 Presidential Election. The Presidential Election is a very important election, and the first without the full protections of the Voting Rights Act in 50 years. Join KALAGNY and AALDEF to take part in this historic event! For more information, please click here and here. The National Bar Association (NBA) and the Lawyers’ Committee for Civil Rights Under Law seek volunteer attorneys to serve as legal observers on Election Day, and attorneys who can provide support to protesters or demonstrators who face arrest. We need your help! Attorneys will serve as Legal Observers to monitor protests and protect the right to peacefully assemble. Legal Observers are expected to attend mass demonstrations, document their experiences, communicate with local law enforcement and elected officials, and help disseminate Know Your Rights materials to demonstrators regarding their rights as peaceful protesters. The NBA is also recruiting Pro Bono Attorneys to provide counsel for those individuals who may face arrest while peacefully protesting. To learn more, click here.